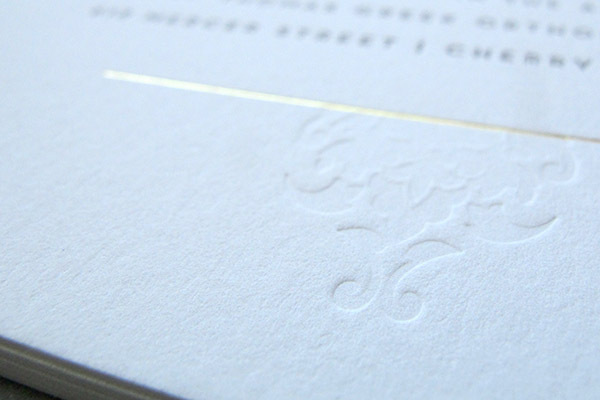 We like to say that the beautiful deboss letterpress speaks for itself. 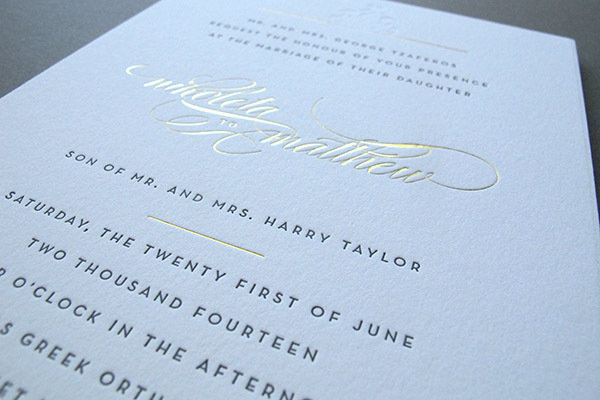 That’s especially true in this lovely A8-size invitation from our friends at Mia Lane Design. 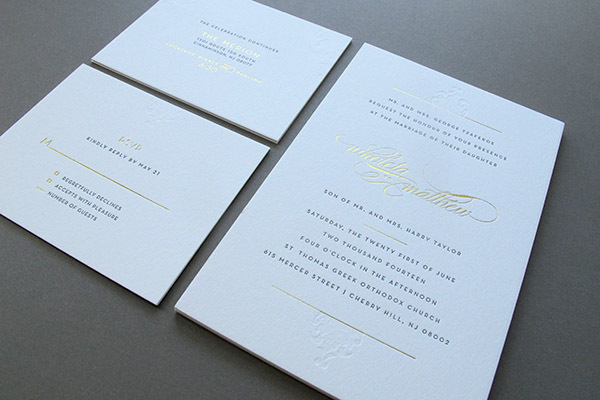 Alena made friends with the white space on this large, 5.5×8.5 inch invitation, keeping the type clean and minimal. 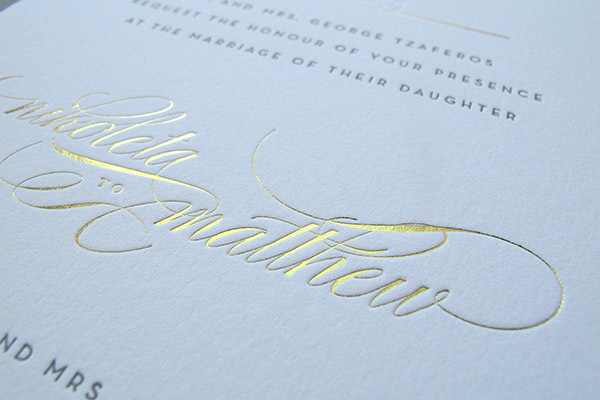 The gold foil adds a ribbon of shine, and the blind deboss (that is, an impression of the printing plate without ink) adds texture as well as subtle embellishment. 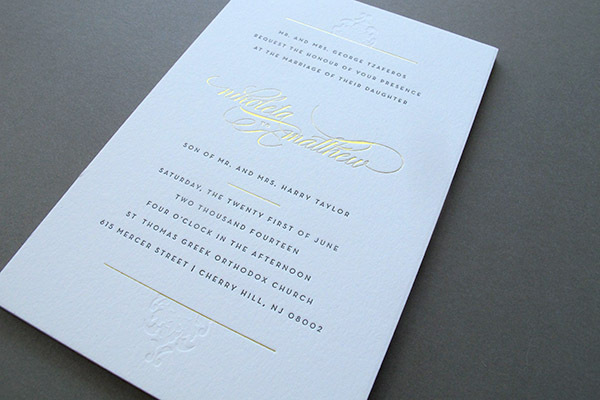 We used Lettra 220#c for its substantial heft and beautiful blind-debossability. 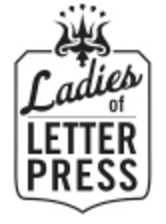 ← See you at the printers’ fair?